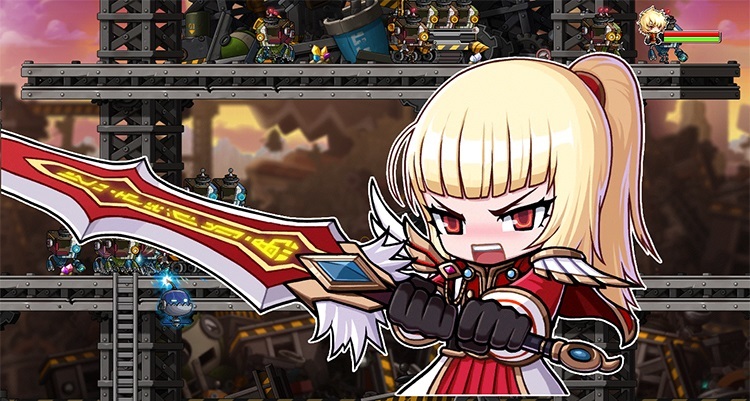 Zero Character Creation Event: January 2 – January 16 | Dexless, Maplestory Guides and More! The Zero character job is BACK for a limited time! If you have a character that is Lv. 100 or above, you are eligible to create a Zero job character in that same world. 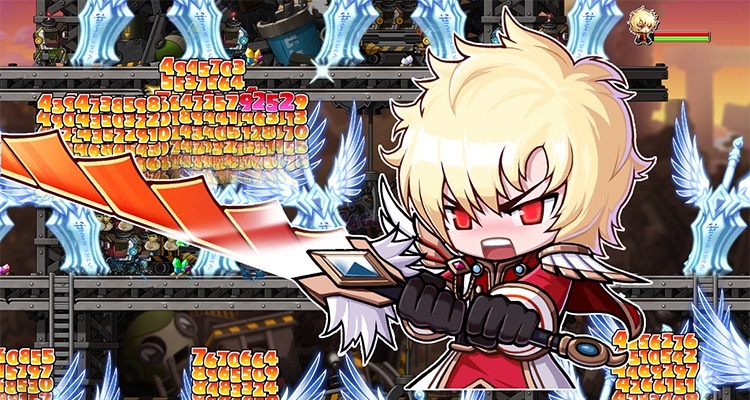 The Zero job starts at Level 100 and remains in Mirror World until the second chapter of their story is completed. After that they can explore Maple World. Zero is the child of the goddess Rhinne, the Transcendent of Time. When she learned that the Black Mage would imprison her in the future, Rhinne created a child, a new Transcendent she hoped would one day replace her. The Black Mage recognized the threat Zero represented. 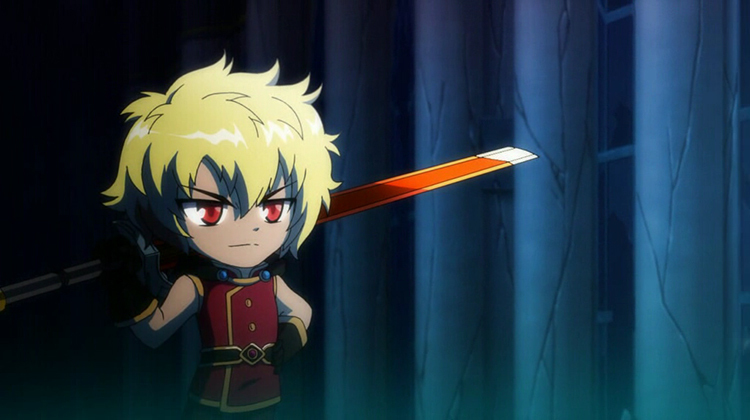 However, if he destroyed it, another Transcendent would simply take Zero's place. Thus, he gave his Commanders a task: split the Child of the Goddess into two separate entities, to prevent them from using their full powers. The two children—a boy, Alpha, and a girl, Beta—were taken to a world designed specifically to keep them locked away; Mirror World. 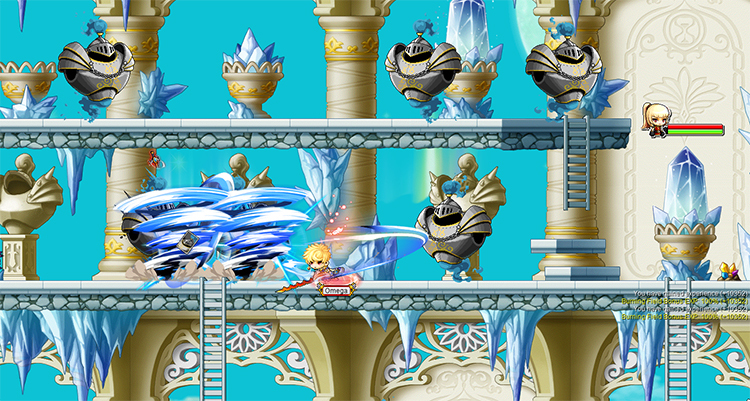 Take control of Alpha and Beta, two characters rolled up in one, and master their distinct fighting styles. 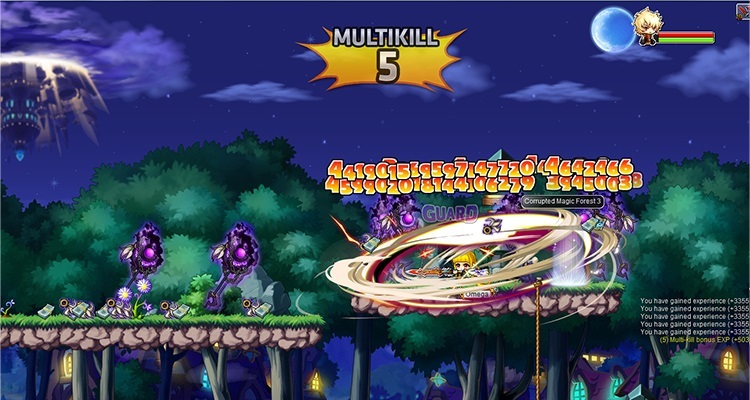 Use both at the same time for deadly combination attacks or swap between them during battle! Rhinne may be imprisoned but hope is not lost. Take control of Zero and escape Mirror World! 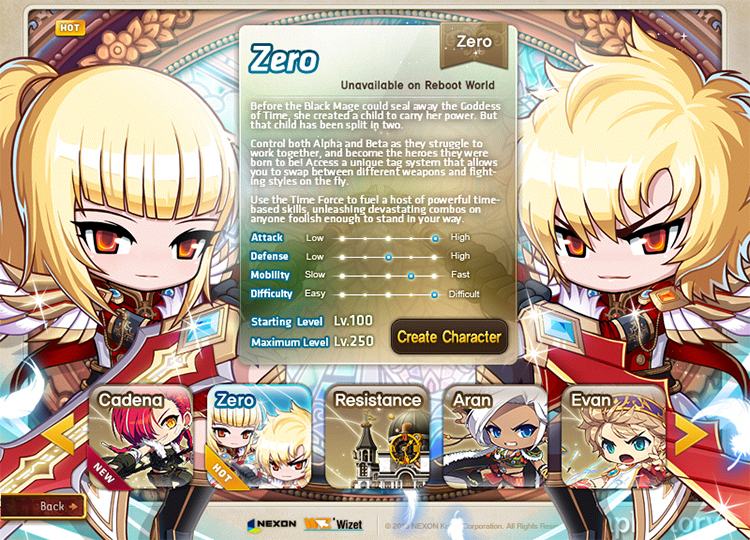 Note: Zero cannot be created in Reboot world.